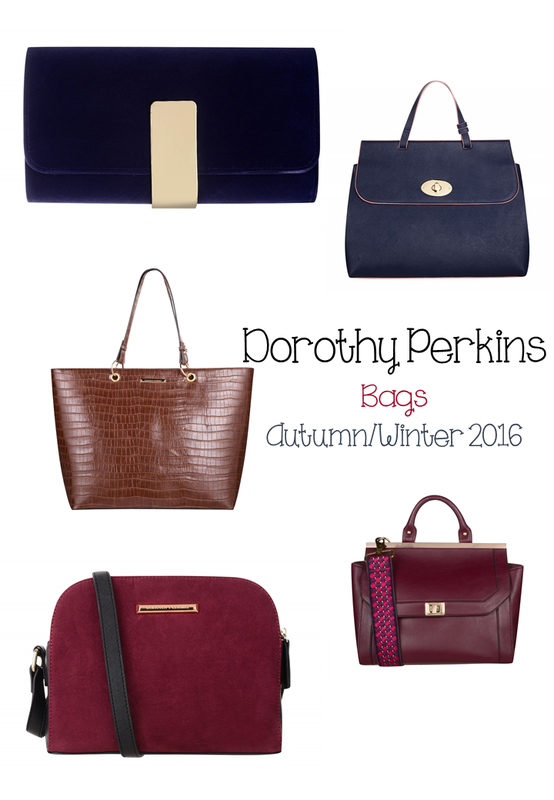 I'm thinking of using Dorothy Perkins Voucher Codes in the Autumn to purchase a couple of new bags. I know it's still August, but a girl's gotta' think ahead when it comes to fashion and if I can save myself some serious cash, then I'm all for it. Dorothy Perkins is bang on trend again next season with the burgundy and navy and I have an obsession with bags, so I am struggling to make my mind up about this lovely lot. I like the navy blue one with the little handle. I think I would use it for work as a change to black. I also really like the burgundy velvet style cross body bag. I need to keep my hands free with two 'runaway' toddlers, so this fits the bill just nicely. I always find myself being drawn to burgundy as Autumn starts to draw in and I wear navy blue at any time of the year. The blue suede clutch would be gorgeous for an evening out with dark denim skinny jeans and heels. *All images courtesy of Dorothy Perkins - with thanks. These are not bad prices for a bag really and quite competitive with other high street retailers. This doesn't mean that I don't want to be savvy with my cash, so I have found some active Dorothy Perkins discount codes and deals ready for us all to use. You can't go wrong with Dorothy Perkins promo codes, if you are looking to update your wardrobe for Autumn. I will definitely be looking for more Dorothy Perkins discount vouchers as the season progresses. What about you? Are you a bag fanatic, like me? If so, don't forget to save yourself some serious money. The money you save, can be used to your next bag purchase can't it?